Simon has advised a variety of principal and contractor clients on some of the major construction, infrastructure and renewable projects in Australia. His experience ranges from advising on, drafting and negotiating project documentation to advising clients in litigation and other forms of dispute resolution. He has also advised on a number of significant construction financing and M&A transactions. 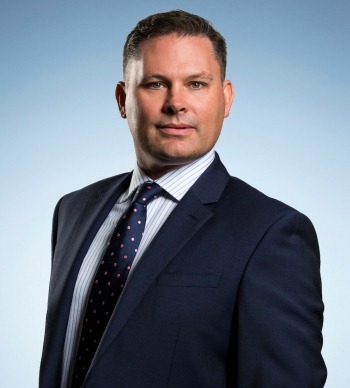 Simon has a depth of industry experience having worked on secondment to the legal teams of major players in construction, transport, road, rail and maritime industries. In addition, he has held engineering and management roles on mining and rail projects. Simon was recently acknowledged by The Legal 500 Asia-Pacific (2018) for his work in the Dispute Resolution space. Parramatta Light Rail Stage 1 Infrastructure Works: advising the successful joint venture on the tender for the design and construction contract for the Parramatta Light Rail Stage 1 Infrastructure Works. This stage of the project will run from Westmead to Carlingford via the Parramatta CBD with an estimated contract value of $840M. M1 to M3 Gateway Upgrade Project: advising a tenderer on the M1 M3 Gateway Upgrade Project for the design and construction of approximately 3.8km of the Pacific Motorway between the Gateway Motorway and Rochedale Road to provide five southbound lanes and replacement of the Underwood Road overpass. The project is to be delivered under the Department of Transport and Main Roads Collaborative Project Agreement with an estimated contract value of $170 million. MacKay Ring Road Project: advising a tenderer on the MacKay Ring Road Project for the construction of 11.3km of new highway including 13 bridges, commencing at the Stockroute Road and Bruce Highway intersection to the south and terminating at the Bald Hill Road intersection to the North near MacKay. The project is to be delivered under the Transport Infrastructure Contract – Construct Only (TIC-CO) with an estimated contract value of $250 million. Yandin Wind Farm Balance of Plant: advising a tenderer under a joint venture for the balance of plant engineering, procurement, construction, testing and commissioning of a wind farm in Dandaragan WA with an estimated contract value of $200M. Stockyard Hill Wind Farm Balance of Plant: advising a tenderer under a joint venture for the balance of plant engineering, procurement, construction, testing and commissioning of a Wind Farm in Victoria with an estimated contract value of $350M. Northam Solar Farm: advising a joint venture party on the EPC Contract for a 10MW Solar Farm Project in Western Australia including advice on the subcontract, plant hire and supply contracts for the project. Coppabella Wind Farm: advising a contractor tendering for the balance of plant subcontract for the Coppabella Wind Farm in the Southern Tablelands of New South Wales.